Conakry (AFP) - Guinean incumbent Alpha Conde has won re-election after gaining an outright majority in the first round of a contested presidential vote, the country's electoral commission said, as the opposition cried foul and called for protests against the result. The opposition's response has raised the spectre of unrest in the coming days. The west African country has a history of post-election violence and was already on edge after around a dozen people were killed in clashes between rival supporters in the run-up to polling day. 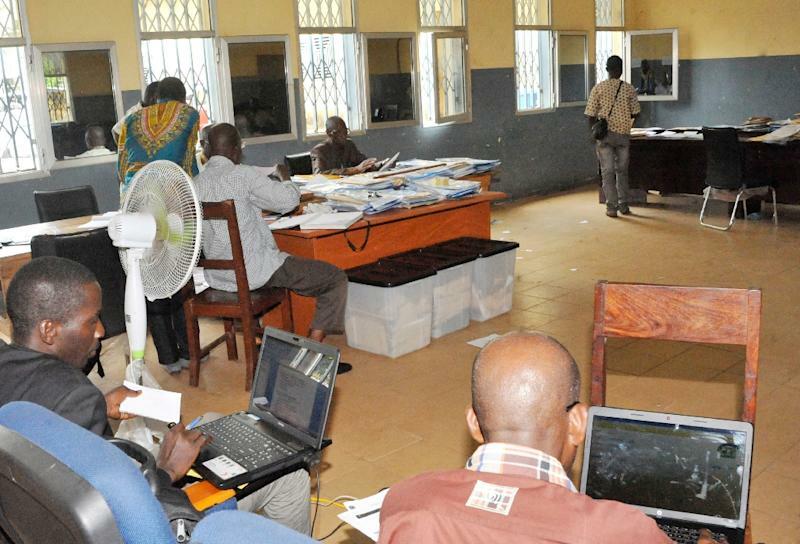 Guinea's Independent National Electoral Commission (CENI) on Saturday formally declared Conde the winner after he garnered 57.85 percent of the vote in the October 11 polls, handing him a second five-year term. 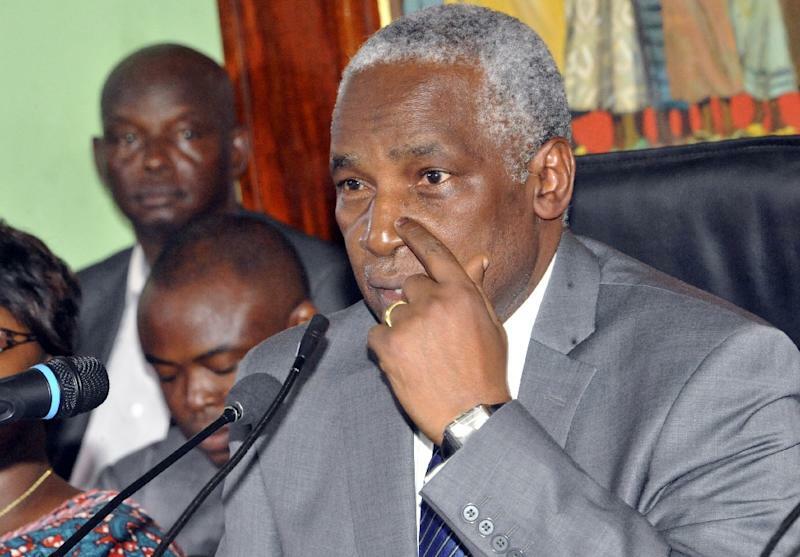 Conde's main rival, opposition leader and former prime minister Cellou Dalein Diallo, came second with 31.44 percent, CENI added. "Ahead of the definitive confirmation of the results by the Constitutional Court, CENI declares that professor Alpha Conde has won in the first round," said commission president Bakary Fofana. Turnout stood at just over 68 percent, lower than CENI's initial estimate of 75 percent. Earlier Saturday, Diallo said he refused to recognise the outcome and urged supporters to take to the streets against what he labelled an "illegal" election tainted by mismanagement and fraud. But he said he would not be appealing the case in court. "I will invite, at the appropriate time, other candidates and all citizens who are the true victims of this electoral hold-up to organise, conforming to the law, peaceful demonstrations to express our indignation and protest against this serious denial of democracy," said Diallo in a statement read to the media. Reading a list of alleged irregularities, he said the six other candidates for president have all decided not to recognise the results of the first round. "I confirm my total agreement with this decision. Furthermore, I will not take recourse at the constitutional court," he said. The opposition has notably criticised the very high turnout in known pro-Conde strongholds and complained of an unfair geographical spread of voter cards, an allegation CENI has died. Despite the call for demonstrations, relative calm prevailed in the Guinean capital Conakry following the release of the results. An EU election observer team has criticised the electoral commission for poor organisation and a "lack of preparation". Conde, 77, had gone into the campaign promising to deliver a "KO blow" to his opponents by winning in the first round, thus avoiding a run-off against his closest rival. His spokesman Albert Damantang Camara condemned Diallo's call for protests, saying "there has never been a peaceful demonstration in Guinea". "Asking people to come out into the streets risks dragging the country into instability, chaos and violence," Camara told AFP. "We continue to ask our supporters to stay calm, avoid gloating and get ready to face the numerous challenges that await us." The UN's special representative for West Africa and the governor of Conakry's surrounding region both called for "restraint", while education authorities announced the postponement of the start of the academic year from Monday to November 2. 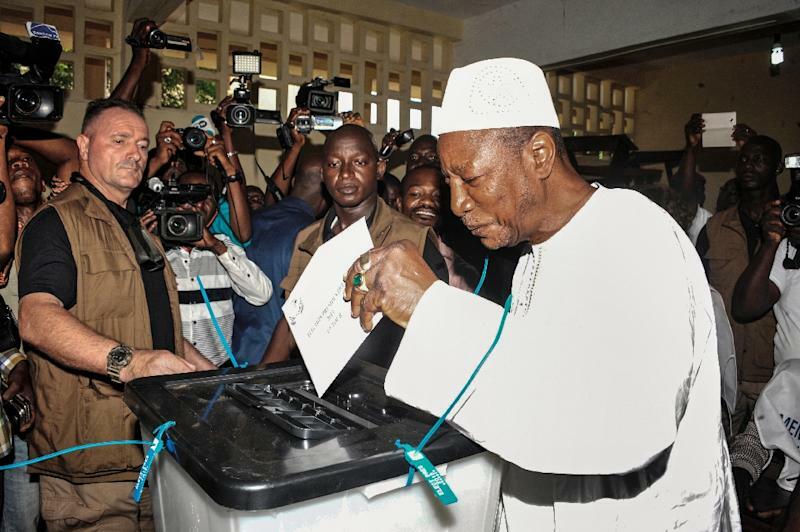 The election was only the second democratic presidential poll since Guinea gained independence from France in 1958. Guinea's first ever democratic election in 2010 went to a second round between Conde and Diallo, which Conde narrowly won. Unlike after that vote, Diallo shows no sign of grudgingly conceding defeat in this year's election. Conde, who spent nearly three decades in exile in France, led the opposition to Guinea's dictatorial first president after independence from France, Ahmed Sekou Toure. He says the achievements of his presidency include an overhaul of the army and judiciary, the completion of a hydroelectric dam and reforms to make mining contracts more transparent. Despite being rich in bauxite, the ore used to produce aluminium, Guinea is one of the world's poorest nations and was blindsided by a severe outbreak of Ebola, which began in December 2013 and then spread to neighbouring countries. Half the population lives below the UN poverty line, and according to the World Bank, per capita income in 2014 was just $470 with many lacking access to electricity or running water.